Wealth Matters: Taxing the Wealthy Sounds Easy. It’s Not. And if the experience with the alternative minimum tax is any guide, using tax policy to target one group can backfire. One tax proposal comes from Alexandria Ocasio-Cortez, a new Democratic congresswoman from New York who has said that an increase in income taxes could help fund other initiatives, like work on climate change. She said in an interview on “60 Minutes” that the rate on earnings over $10 million could be 60 or 70 percent, up from the current rate of 37 percent. This tax, on what she called the “tippy tops” of earners, would be graduated like the rest of the income code, so only a portion of the millionaires’ income would be taxed at that high rate. 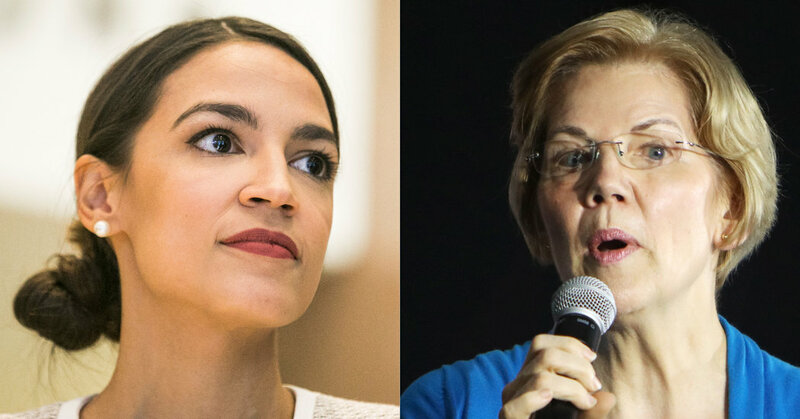 And Senator Elizabeth Warren, the Massachusetts Democrat preparing for a presidential campaign, has proposed a wealth tax of 2 percent on people with a net worth above $50 million and 3 percent on those with a net worth over $1 billion. Senator Warren worked with Emmanuel Saez and Gabriel Zucman, two respected economists at the University of California, Berkeley, whose research focuses on income inequality. They estimated that such a tax would raise $2.75 trillion over 10 years, which sounds like a lot but would account for just 1 percent of gross domestic product. Such targeted tax policies have often been riddled with loopholes, as was the case with the highest marginal tax rates in the 1970s; become overly complex to enact, like the alternative minimum tax; or created unintended consequences that affected taxpayers beyond those originally intended. Ms. Warren’s wealth tax, for example, has three major challenges. First, there is a huge gap in wealth between $50 million and $1 billion. There are far more people with wealth in the tens and hundreds of millions of dollars in the United States — 39,735, according to Wealth-X, which tracks wealth in the world — than there are billionaires — 680 — who would pay the higher 3 percent tax. If raising revenue is the object, increasing the tax rate for people at several intervals between $50 million and $1 billion, which are very different levels of wealth, would bring in more revenue, wealth experts said. As it stands now, billionaires would contribute just $300 billion of the $2.75 trillion the higher rates are projected to raise over 10 years. Adding in rates would also allow Senator Warren to increase the rate again for billionaires. A bigger issue is that a wealth tax may not be constitutional. The 16th Amendment only provides for an income tax. The estate, gift and generation-skipping taxes pass muster because they’re deemed excise taxes on the transfer of wealth, not on the wealth itself. And then the government would need to have enough auditors to verify everything that was submitted. In 2018, for example, there will be an estimated 4,000 estate tax returns filed, with tax owed on 1,900 of them. That’s a tenth the number of tax returns that would be filed under Ms. Warren’s wealth tax plan. Back then, people could average their income over several years to reduce the large tax bite. There were also far more deductions that people could take than there are now. Maury Cartine, partner at the accounting firm Marcum and a certified public accountant for 50 years, said when the highest tax bracket was 70 percent in the 1970s, the tax on earned income — as opposed to investment income — was limited to 50 percent. At that time, an individual taxpayer could also deduct interest on any type of loan — car, educational, credit card — and not just on a home. “A taxpayer could refinance appreciated rental property, take the proceeds to buy a yacht or some very nice jewelry and still deduct the interest,” Mr. Cartine said. These deductions have been whittled away over the years. And in the current tax code, even deductions like those on state and local taxes or mortgage interest have been eliminated or curtailed. In other words, a 70 percent rate would be a much higher rate today, given the limited deductions, than it was in the 1970s. It’s also worth looking back at the unintended consequences from similar policy-driven tax proposals. The alternative minimum tax was initially started in a different form in 1969. It was largely meant to target the 155 Americans who had incomes over $200,000 (roughly more than $1 million today) and hadn’t paid any income tax. It was reformulated in 1982 but never indexed to inflation. Timothy Speiss, partner in charge of the personal wealth advisers group at EisnerAmper, an accounting firm, said that by 2017, the alternative minimum tax affected more affluent people than the truly wealthy.